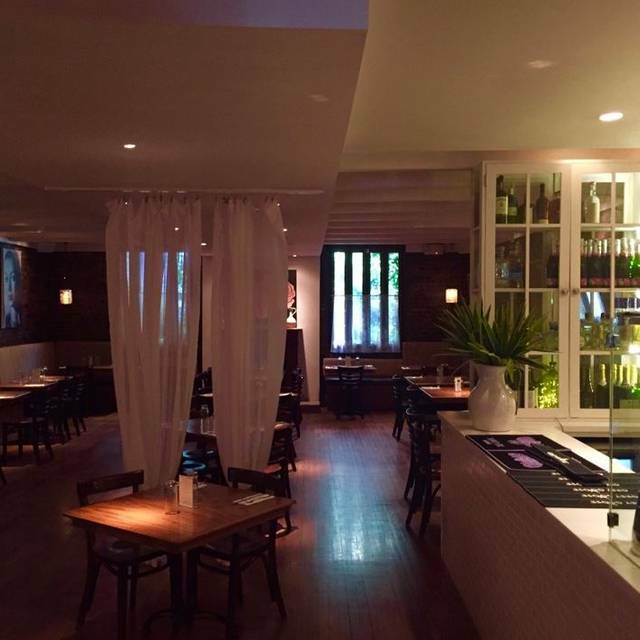 Maizal​ ​Restaurant​ ​first​ ​opened​ ​in​ ​2010​ ​in​ ​the​ ​Rosebank​ ​neighborhood​ ​of​ ​Staten​ ​Island.​ ​Persevering through​ ​hurricanes,​ ​floods​ ​and​ ​a​ ​weak​ ​economy,​ ​the​ ​original​ ​restaurant​ ​continues​ ​to​ ​deliver​ ​outstanding and​ ​unique​ ​dishes​ ​as​ ​well​ ​as​ ​superb​ ​cocktails,​ ​with​ ​an​ ​ambiance​ ​to​ ​match.​ ​Our​ ​second​ ​location​ ​in Astoria,​ ​Queens​ ​opened​ ​in​ ​2014.​ ​Maizal​ ​restaurant​ ​is​ ​family​ ​owned​ ​and​ ​operated. Executive​ ​Chef,​ ​Wilmer​ ​Santos​ ​is​ ​a​ ​Graduate​ ​with​ ​Distinction​ ​from​ ​the​ ​French​ ​Culinary​ ​Institute,​ ​where​ ​he proudly​ ​earned​ ​a​ ​spot​ ​on​ ​the​ ​Dean's​ ​List.​ ​Wilmer's​ ​talent​ ​was​ ​further​ ​refined​ ​under​ ​the​ ​watchful​ ​eye​ ​of mentor​ ​German​ ​Munoz,​ ​as​ ​reflected​ ​in​ ​the​ ​popular,​ ​yet​ ​sometimes​ ​controversial,​ ​dishes​ ​served​ ​at​ ​Maizal. He​ ​leads​ ​by​ ​example​ ​and​ ​runs​ ​a​ ​very​ ​tight​ ​operation​ ​in​ ​the​ ​kitchen. Soft tortillas rolled and stuffed with your your choice of meat, veggies or shrimp, topped with melted cheese & your choice of tangy tomatillo or mild guajillo pepper sauce..yum! Arrived a little late for our reservation. They promptly seated our party of 6. We were on a bit of time crunch, I informed our server, and she expeditiously moved our meal along. The table was a little small for our party. ( it was a 6 top). But no one was uncomfortable. The food came out quickly, and was delicious. 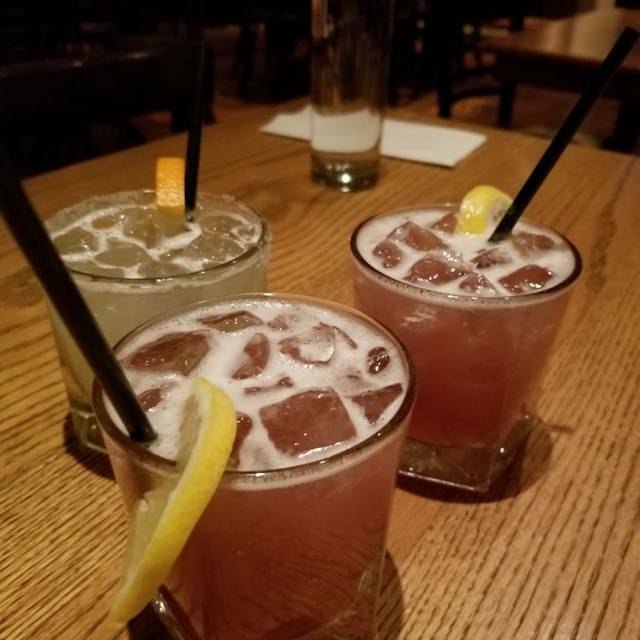 The drinks were a little on the expensive side($14). But that is expected considering location. I would definitely go back to dine again. I want to love Maizal. I have been there several times and have come away after these visits being disappointed. They posture as a "mostly gluten free" menu however I would say more than 50% is not gluten free, in particular the burritos, quesadillas and some tacos (fish). If you don't eat gluten and meat, it is quite restrictive. 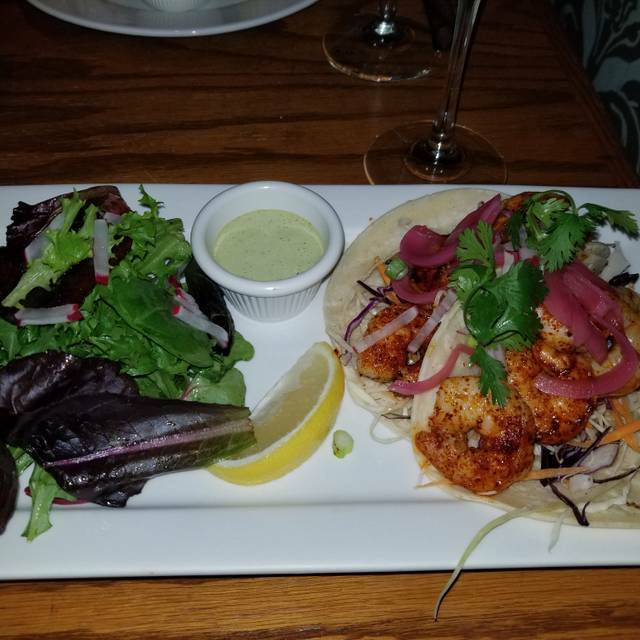 Ordering certain dishes, such as the Tequila Lime Fired Shrimp was sad, with 6 medium sized bland shrimp and the rest boring. 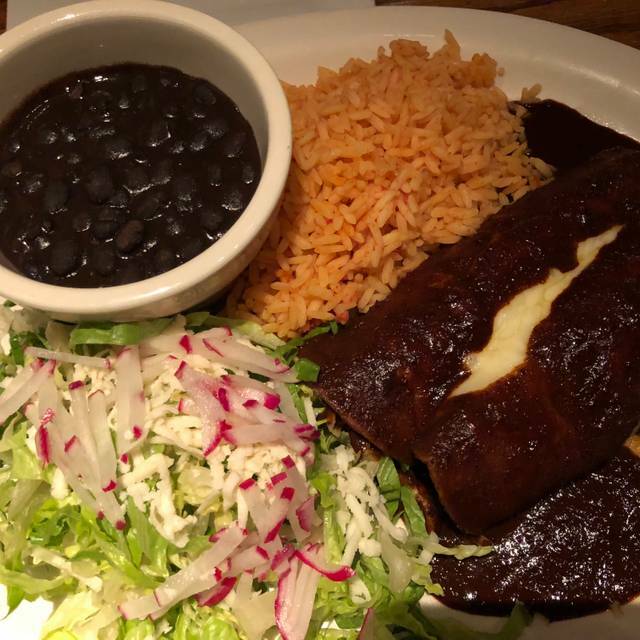 The mole shrimp enchilada dish was like eating a chocolate bar, not a well made mole. To be fair, some apps are excellent - stuffed plantain and the guacamole are good examples. I wish they had better entrees to match the strength of their apps. There is no reason they can't use a gluten free flour blend and make more items available, like Nino's AQ in Astoria. Classic jalapeno margarita is also very good. Like I said, want to love them but not wowed, especially at their prices. You do need more spanish music to feel that vibe. Our dinner was great! Overall, Maizal aims to please. The food is well prepared and very tasty. They do an excellent job of making creative cocktails at fair prices. I felt the food was a little bit high in price but worth going back. This is a must try for everyone. Then a come back spot for years. Great food but portions were a bit small. Service was great and cockails were fantastic. Late night happy hour also great for after dinner. Definitely some of the best Mexican food I’ve had in the Astoria area. Good food. Good drinks (VERY slow to come out). Good service. My server forgot my appetizer. It’s totally fine to forget but she then told me I didn’t order any when I asked about it. It’s a very basic customer service skills. Then food was delicious and perfect. Not much food being served for the price. Bottomless drive. Had to be the entire table (2ppl)which was the 1 person take did not drink. Overall bartender was super nice would have given more stars just because of him. Took our grandkids and they loved it. The service was very good. Really enjoyed the food; it hit the spot and had great flavor. Went for causal dinner; seated and served quickly! Food was very good (especially the guacamole). 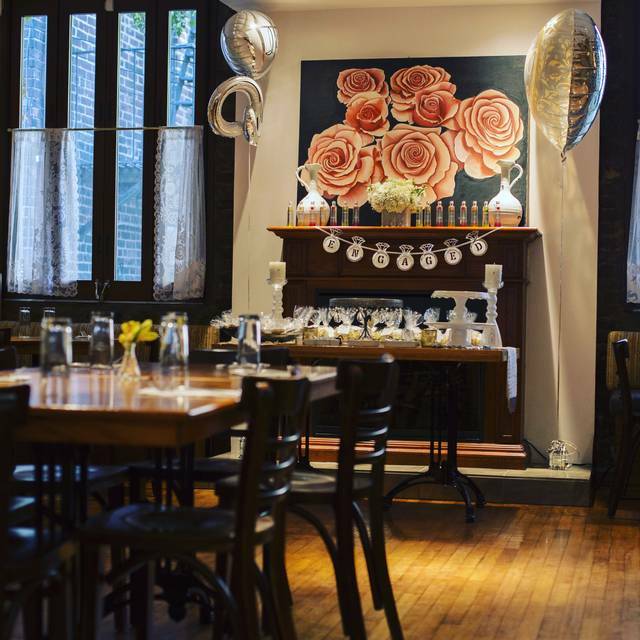 The decor is beautiful and ambiance is ideal for date nights. The only downside is that the food was significantly overpriced. One of Astoria's best kept secrets!! Beautiful space, amazing food, superb service and out of this world chocolate martinis!!! Can't wait to go back!! 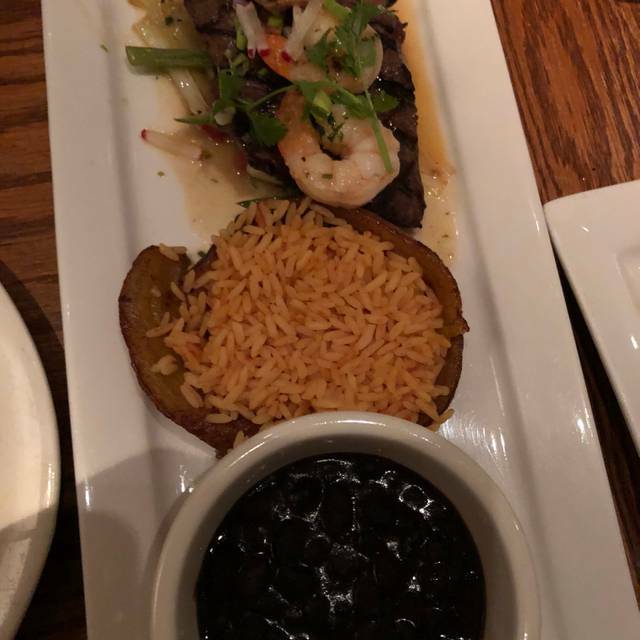 Food was not as expected, the guacamole was mediocre, tasteless and the avocado served as a side with the shrimps was black, I told the server better to leave that out. The roasted chicken was too dry and tough. The tables (2 together) were extremely sticky!!! even the paper napkin we had got stuck!!!! We just always appreciate the food, service and ambience at this local place. It just makes me smile. The staff is always friendly and professional. The food is so good. It is one of the best Mex places in Astoria. I would highly recommend it. Tried this place with my husband for the first time for date night. Really liked the food and happy hour but it was really hot in the restaurant. I was 90 degrees outside and felt in the 80s inside. Very good! Went for a friends birthday dinner. Was very energetic and friendly place. Well made Mexican food lots of flavor - very nice waitstaff authentic and welcoming. Amazing Mexican restaurant in Astoria with a great Menu and Bar selection, Tequilla and Mezcal choices are excellent. 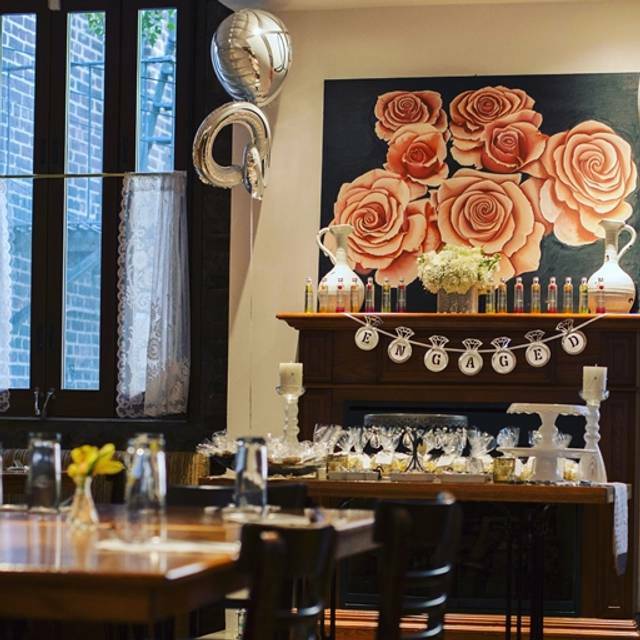 It was my second visit, we went for Brunch and for Dinner, at both occasion we really enjoyed it and found the service and food to be excellent. Staff is welcoming, genuine and caring about your experience. Very professionally run. If you go for Brunch, try the dish with Crepes, chorizo and scrambled eggs, its top! A must try. Dinner was amazing too with great traditional dishes. A must do! Great service realllyy good food I ate every bite ! Very friendly and fun environment ! Loved it! WONDERFUL family birthday brunch. The food, as always, was amazing. Passion fruit margarita was the best I’ve ever had. Such a great meal. Very good Mexican food and cocktails! The staff is fabulous!! Margaritas are EXCELLENT. Food is very fresh and great vegetarian options . I look forward to returning! Unfortunately my dinner at Maizal started good until after we were served our appetizer. The entree took 45 minutes to come and even though they apologize for the delay no compensation was offered to me and my family....no free drinks or dessert were offered orsome type of discount. We waited patiently since it was already late to go to another place. After we had our meal we then ordered coffee and tea that took almost 30 minutes to get to us. It took us 3 hours to have our meal which was the longest time I’ve ever had a meal. I like to support the business in my neighborhood but at the same time I wouldn’t want to compensate quality of service being rendered to me specially from a pretty upscale restaurant. Overall, my experience with Maizal is poor and doubt that I will come back or recommend to anyone. I will surely write my experience in yelp. I invited my friends for a luncheon. We all enjoyed the food and Sangria. We especially enjoyed the Sweet Plaintain with shrimp appetizer. Delicious!!! Almost tasted like dessert! Could have spent all day there. The food was generally very good but the service was terrible. Sat for about 20 minutes before we could flag down a waiter just to order drinks and then it took another 10-15 minutes for the drinks to arrive it to the table. So 30 mins in before we got our drinks or even got to order appetizers. If they get their service straightened out it would be a great place. 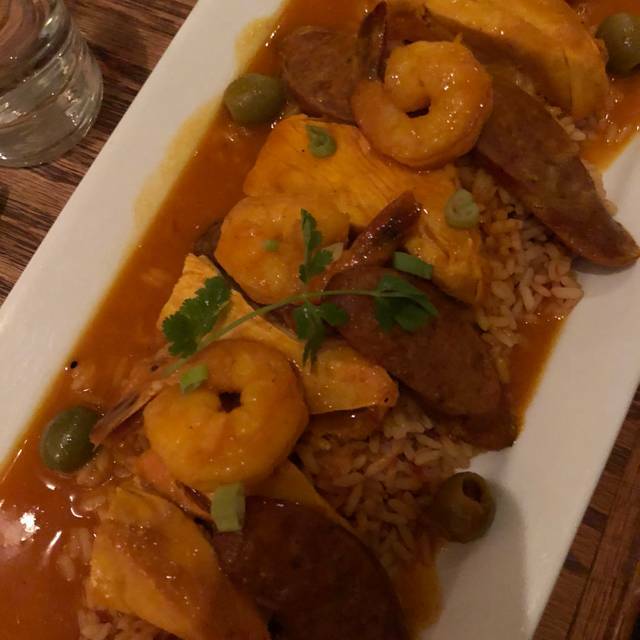 The shrimp stuffed plantain was INCREDIBLE. I cannot overstate how delicious this thing was. Restaurant itself was beautiful. I really liked the ambiance here, the service was very good, and the menu options were solid. However, we found almost everything to be too salty, except for a few items that were a bit bland. We thought both the beef enchiladas and sweet potato/chorizo empanadas were too salty to enjoy. The beans were a bit bland. The quesadilla was fine, but nothing outstanding. The guacamole was very good. If the chef tweaked the recipes, this would be a very good place, but as it was, I don't think I would go back. Had an amazing birthday celebration. Staff was amazing and so was the food. Can’t wait to go back!!! Lively restaurant with good food, no surprises, but interesting presentations. Drinks range from good to mediocre. Very mediocre wine list. This used to be our fave Mexican restaurant. This time both the service and food were below average. Food was phenomenal, and staff was courteous and friendly. Can’t wait to go back.